Come and explore an ecosystem of balloons: universes in miniature. You’ll meet all manner of balloons from small floating moons to vast bouncing orbs. Forever expanding and contracting, balloons are free to float, fly and sway. Hold your breath and go sailing away. Rise and Fall is a poetic and intriguing performance for young audiences about holding on and letting go. 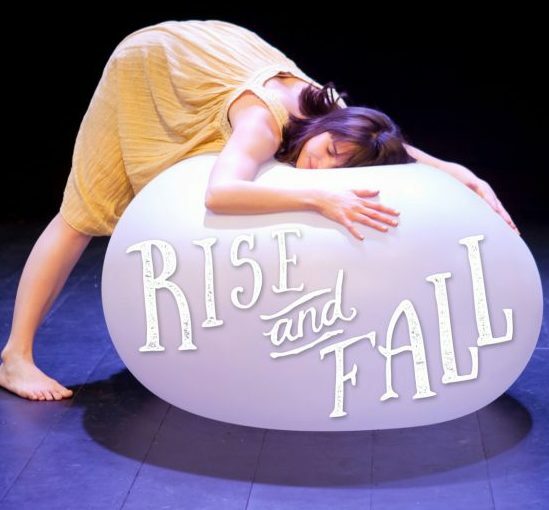 After successfully touring in the UK, Rise and Fall will be floating to Singapore for a very limited time. Get your tickets soon! Tickets are required for all patrons (including infants-in-arms). Venue: The Artground (Whitebox), 90 Goodman Road, #01-40, Block J, Singapore 439053. Rise and Fall is presented by Page One Theatre (UK) and Five Stones Theatre (SG), and supported by The Artground as venue partner.